Oh ladies of the friday flea, we do love you so, especially when you say 20p an item! Please excuse the random photos in this post. I managed to lose all my holiday photos, before I could even look at them.....which can only mean I will need to go back there one day. I was looking forward to showing you the lovely beach at Durdles Door and reliving the lovely heatwave dip in the sea..... But not the treacherous climb to the beach!.....I think I'm okay with it, I have to let them go, although I'm trying to persuade the teen to get some of his instagram photos printed. It's just another sign that I need a new camera and to try and hustle that up to the top of the list. Sometimes we just have to work with what we've got. 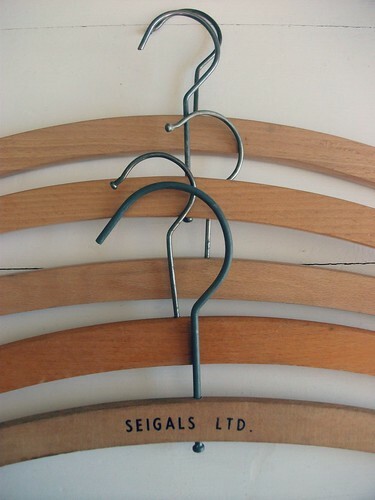 vintage hangers - I know what I'm going to do with these! So I am back, and hello again. I didn't plan on it being such a long break, but somehow the loss of the photos seemed to leave my blog at the last post about the seven mile peace scarf for several weeks. Somehow I feel like it was the least I could do. I wish I had supported Jaine of Beeswax and Broomsticks more in her Wool against weapons quest. The last 18 months or so for her must have been hugely challenging. I'm sure she would have felt as though her life had been taken over by this scarf. I confess when she told me about it I felt that it was just too much to make happen..... But she did it..... I can only look on in awe at the level of commitment that must have taken. How do you get 6,000 pieces of one metre length scarf made and sent to you?!.... You can see a 5 minute film of the day the scarf was rolled out here. Didn't they do well. Before my holiday I made a few embroidery brooches. I have decided it's all together easier to chop up napkins, rather than large table cloths, and that it would probably be fun to learn to embroider a few myself. Brooches that is not tablecloths. I'm looking forward to using these again. I'm still very much hoping to put more energy into my shop. For me this summer has been more about shuffling things around at home, fixing broken things (or finding someone who can!) summer jobs. The eternal quest to de-clutter. Making home, it's so very important to me. So I'm glad I managed the summer holiday mission with the teen. He agreed to come. We both tried. It's hard to please a nearly 16 year old who wants to hang out and a Mum who wants to gallavant around the countryside having little coastal adventures! compromises were made. Maybe a little bit of new ground was found too. A bit of a space from the uncertainty that has surrounded us. I can see this newly growing up teenager now another year older and pretty grown up sometimes, becoming more ready to step into some new possibilties in a stronger way. The ground is feeling pretty solid beneath our feet right. I am so thankful really. Sometimes life can seem a little quiet. But I think quiet and steady is what we need right now. 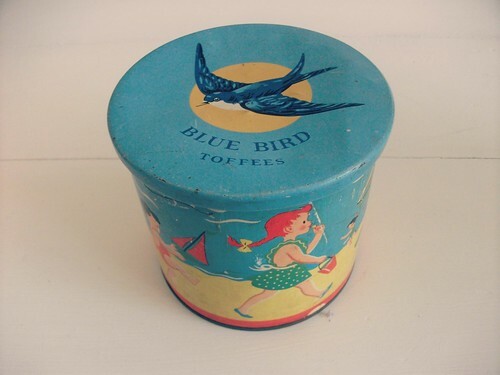 Just loved that old toffee tin. I think it's terrific that you had time with your teen, any time we can get with them during their teen years is a bonus, and I really am sorry about your photos, I have been there, I lost all of the photos for my daughters 5th birthday and my sons 18th birthday!! Seriously what can you do? Might as well let it go, and at least the teen has photos!! Yay! Do you have an instagram? 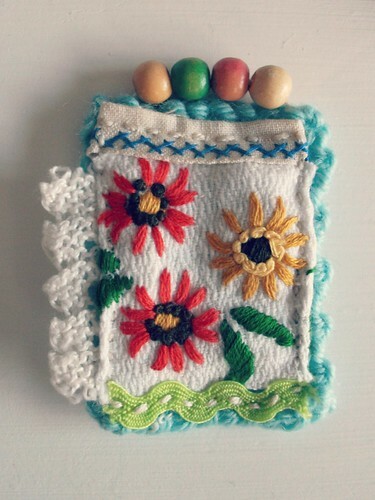 I have missed your blog posts, so glad you're back... and I love the embroidered goodies! Much love to you and I Hope you have a fantastic weekend! 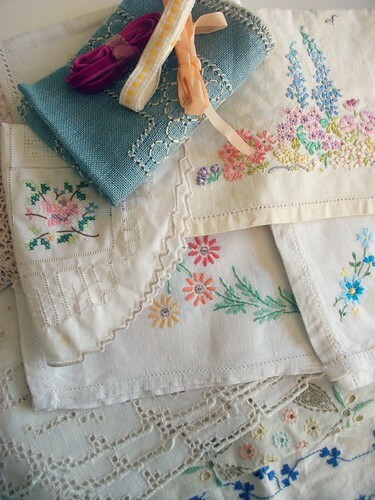 Love the vintage embroidery finds. Glad you're back! Nice to have you back again!!!! I have missed you!!!! Sorry about your pics but glad you had a good time with your teen!!!! Sounds like you both needed it and glad you're in a good place with him now!!! Love your toffee tin and beautiful brooch!!!! Enjoy the rest of your beautiful summer weathe and have a fun filled and happy weekend!!! Such wonderful finds! I love those embroidered cloth pieces. I'm so sorry about your photos. I'm glad you have many good memories to hold onto. 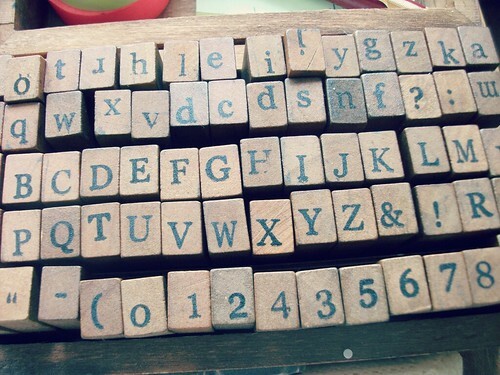 Meant to say that I have the same printing set - Dom found it in a cupboard at work and no one wanted it so home it came! What a disaster on the photo front. Boo. And I'm glad that there was balance of sorts with your teen. It can be quite a challenge!